All electric Scooters adds new Vehicle Lifts! November 7th, 2010 – Raleigh, NC - All Electric Scooters, an online retailer of mobility scooters for the disabled and elderly, is excited to announce the return of Pride Vehicle Lifts. Starting immediately All Electric Scooters will be carrying the full catalog of Pride vehicle lifts including the Pride Backpacker, the Pride Outlander, the Pride Power Tote, and the Pride Manual Wheelchair Carrier. The Pride Power Tote, will be the first will be the first vehicle lift added to All Electric Scooters. It is a hand operated external vehicle lift, which features a 150 lift weight capacity. 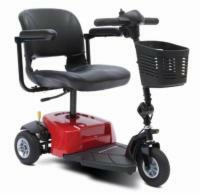 All Electric Scooters, is an online retailer of mobility scooters for the disabled and elderly. 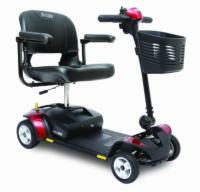 Their product catalog includes mobility scooters, vehicle lifts, and scooter accessories. For more information please visit www.allelectricscooters.com.